Exploring the mountains in winter is an exciting challenge, and ultimately a very rewarding one. The feeling of reaching a peak having navigated varied, icy and snowy terrain is like no other and offers summit views that are unbeatable. 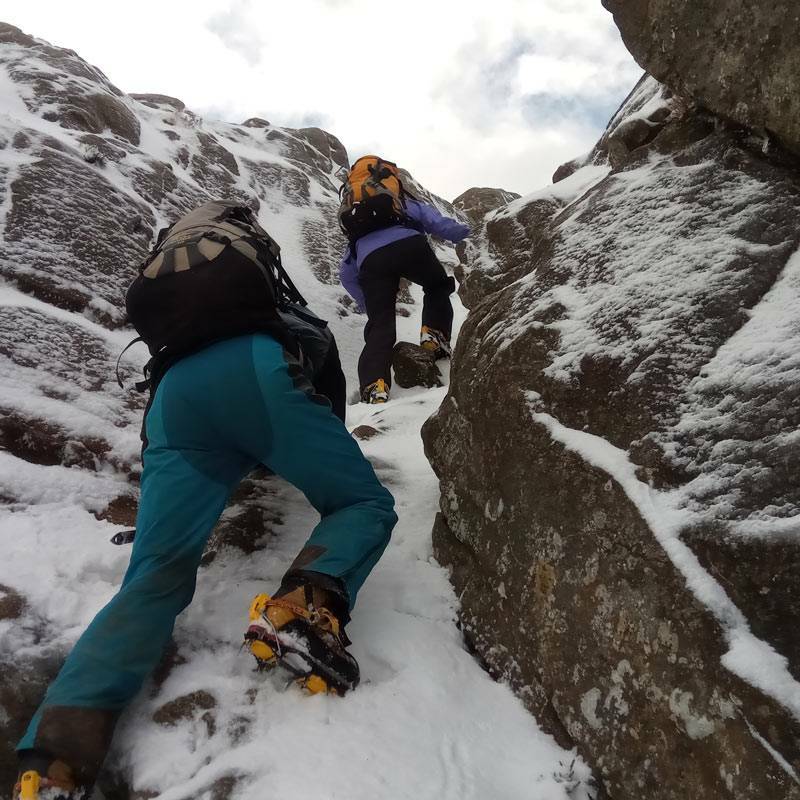 If you're a summer hillwalker and you want to extend your skills to all four seasons and access these moments, Welsh Winter Mountaineering is the course for you. 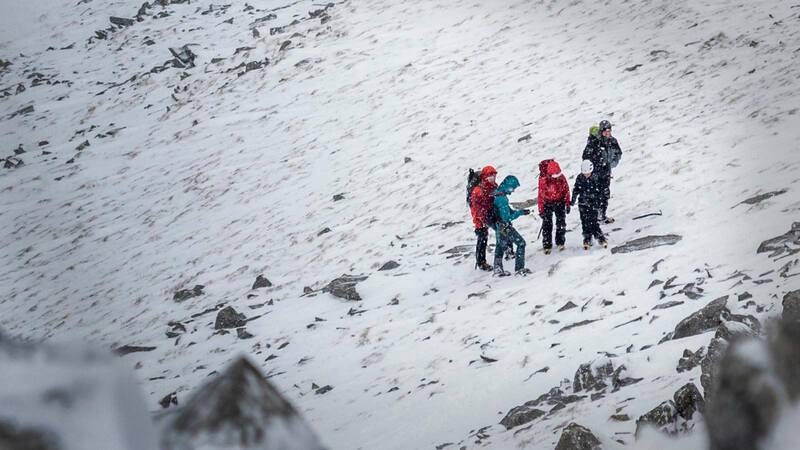 On your five days with us you'll make the most of the unpredictable weather experienced during the winter months and learn alongside our friendly, highly experienced instructors. 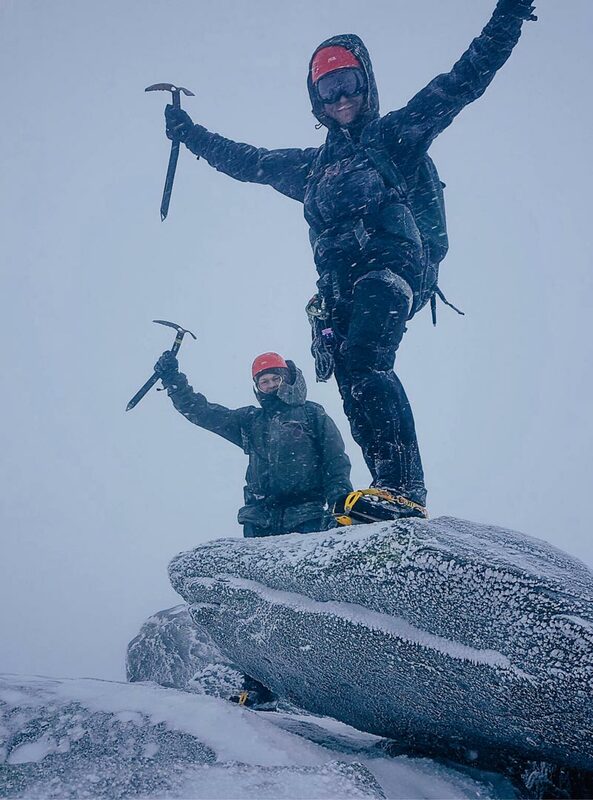 You'll develop your skills in winter navigation, ropework for travel over rock, snow and ice, and cover emergency bivouacking skills as well as learning the use and choice of ice axe and crampons. 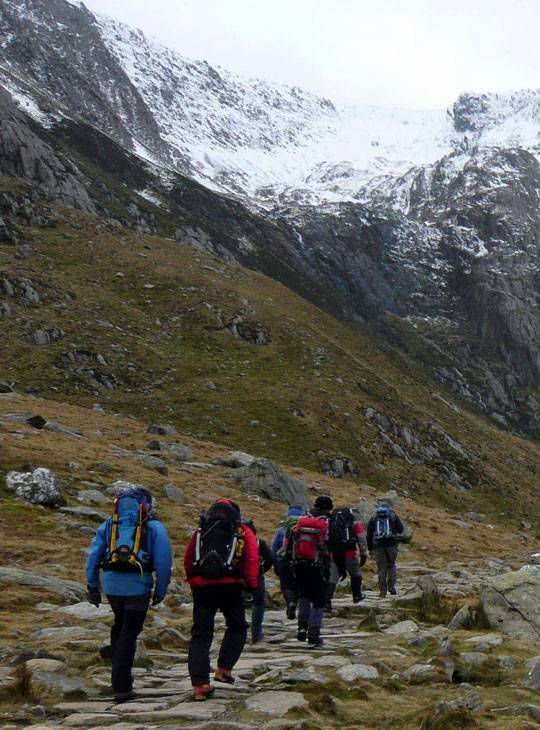 - You’ll have 5 fantastic days of practical learning out in Snowdonia National Park. - You'll become confident enough to extend your walking and scrambling skills into a year-round pursuit. - You’ll learn all the safety skills and considerations you need to feel confident mountaineering in winter. We'll plan the itinerary in line with your needs and aspirations, and depending on where the best conditions are to be found. There will be five good days 'on the hill'. 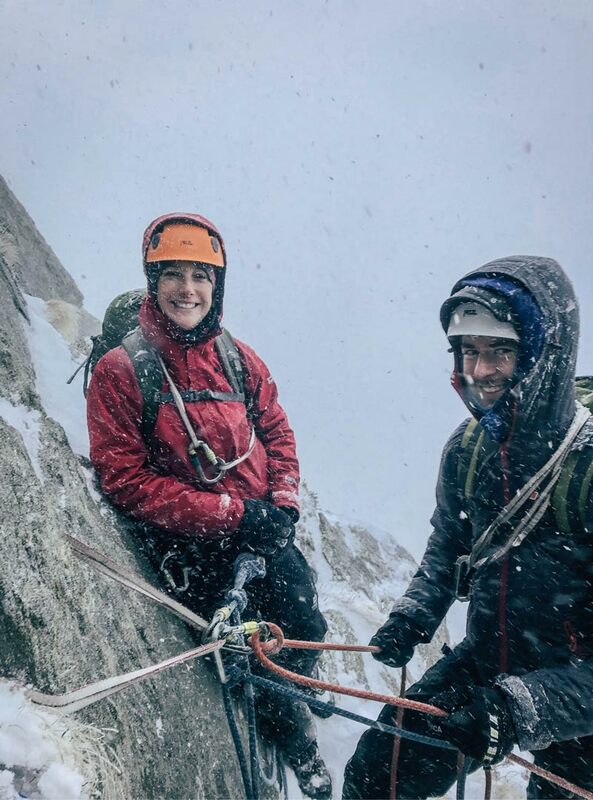 Expect to cover the use of crampons and ice axe in steeper terrain, exposed climbs on ridges, emergency techniques, including snow shelters, some basic use of the rope, avalanche awareness and using weather forecasts to plan your journeys. You should have done some summer hillwalking, and be keen to get stuck into some wintery walks. You need to be a fit summer hill walker who has probably done some scrambling. confident to get out in the mountains in snowy conditions safely.